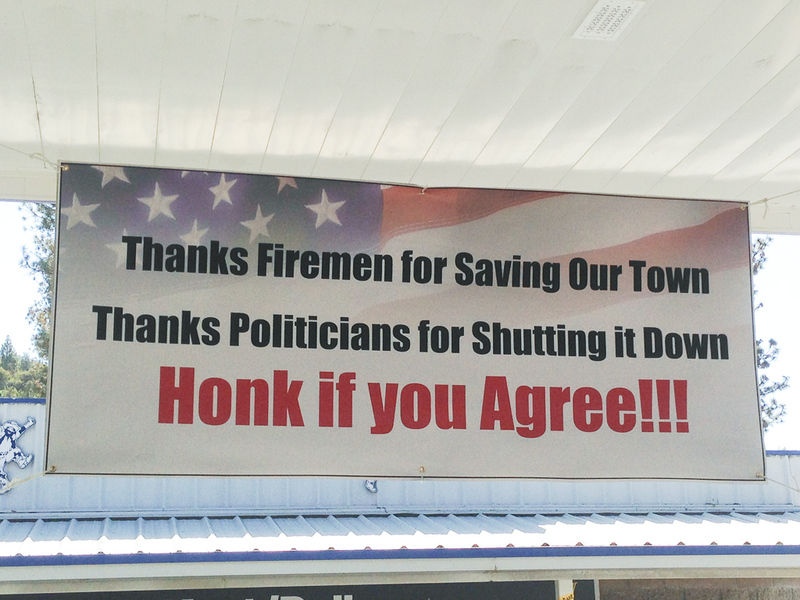 Seen at a gas station outside of Groveland, CA. The Yosemite closure has hit a number of businesses hard here as the tourist traffic is non existent on a holiday weekend. The thing that struck me back then was how amorphous that amendment really was. It wasn’t like the others were it talked about a specific right that was given back to the people. The First Amendment talks about free speech. The Second Amendment focuses in on the right to bear arms. The 10th amendment was a catch all to basically deny the federal government the ability to grow too large and starve the states their ability to express their individuality. The authors of the Bill of Rights intended to curtail the size and scope of the federal government. States and the federal government live in a partnership. They are designed to do different things. Seen outside of Sequoia National Park. It was the one park on my journey that was fully closed to visitors. I, like many Americans have been frustrated with the government shutdown. Yes, I know it is Congress’s job to avoid these sorts of things. what struck me as reprehensible was closing down our parks and recreational facilities due to Congress’s inability to execute. Our parks are places of refuge, recreation, and restoration for the American people. On top of that they are huge money makers. While riding this past weekend, it became clear to me how many communities depend on the national parks being open. Businesses near Yosemite, Kings Canyon, and Sequoia National Park were clearly hurting. Not having the regular flow of tourists in to spend money on hotels, campgrounds, groceries, and restaurants clearly makes a dent in many of those Americans’ wallets. What surprised me was how many states had grassroots efforts to reopen the national parks with state funds. Reopening the Grand Canyon cost Arizona and about $91,000 per day. What does it do for the state of Arizona? Tourists will pump in $1 million every day to the local economy. Utah, Colorado, the city of New York, and South Dakota college suit using state money to run the national parks. After reading that, I spent some time thinking about how we run our national parks. 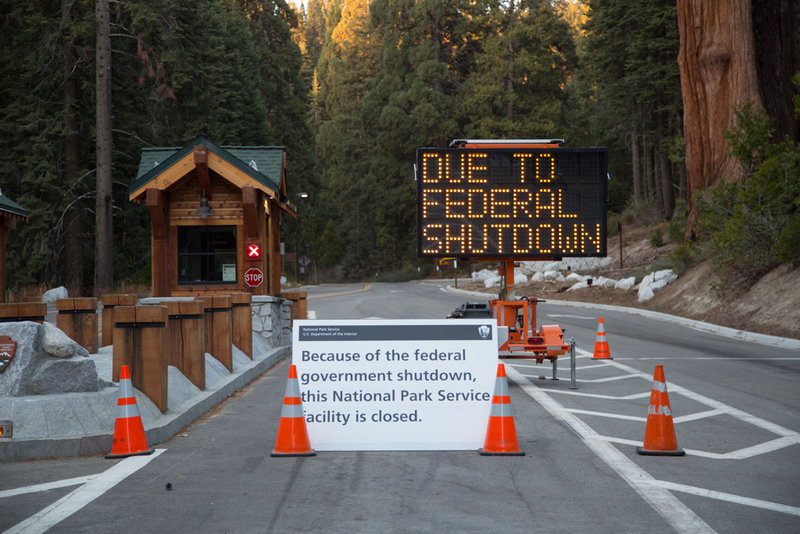 If you look at Yosemite, the federal government doesn’t pave the roads inside the park. The federal government relies on the state of California to manage that infrastructure. In the same light, I’m surprised it doesn’t rely on the states to run the parks. How does it sound, Yosemite State Park? The federal government can designate certain lands and how they should be used but delegate to the states how to run and fund them. Parks have huge implications for local economies and giving the states greater control and how to use them, manage them, and profit from them keeps local economies in check. As in many battles here in the state of California, parks are often used as a bargaining chip between opposing political parties. Each political party knows the emotional attachment the public has with the parks. While the blame game between the two political parties won’t change on the state level much like it won’t change on the national level, we should expect more from our state governments. State government really is the key that I think our founders wanted to retain in our nation’s evolution. 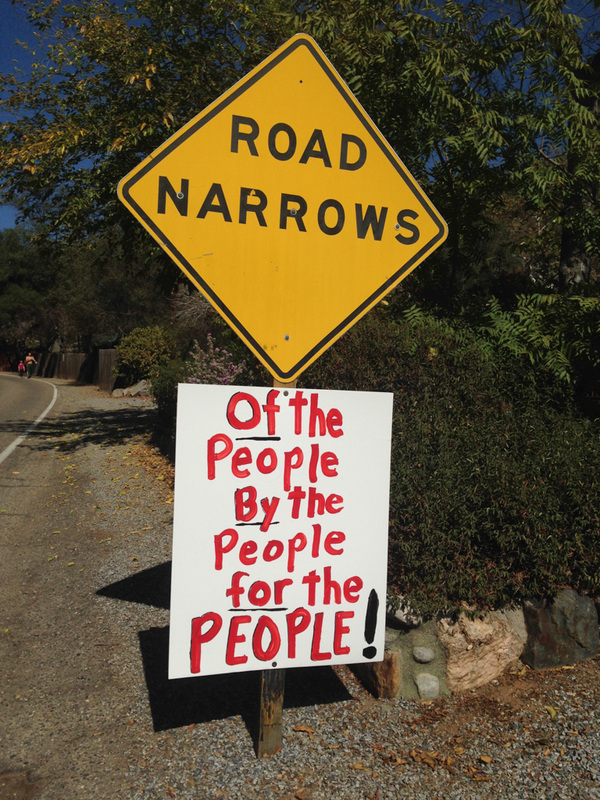 As the Internet and our culture becomes more global, we lose sight of how important state government really is. States have often been used as laboratories for laws. The state of Tennessee was the first to pilot child safety seats. Massachusetts was the first state to recognize gay marriage. California is often on the leading edge of environmental regulations. The states get to represent the individuality of their populations to the rest of the United States. All in all, we should expect more from our government. The federal government definitely has a role… I’m not being antigovernment. As Americans, we should be keen to know where the power of government should lay, be it at the local, state, or national level. Government close to home is a good thing. It helps government to stay in tune with what iss important to the local populace. Checks and balances though are a good thing. Higher levels of governments ensure that lower levels of governments are doing right by the populace they gave them power. Kings Canyon National Park. 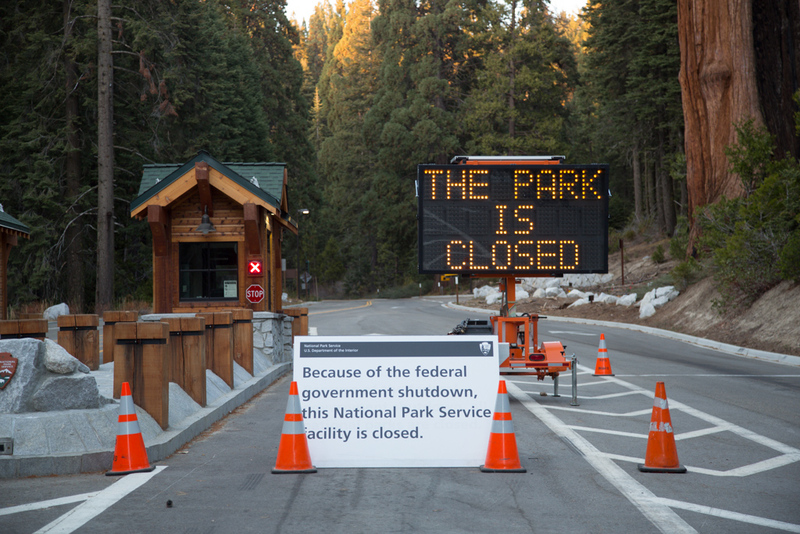 While the park was closed, Sequoia National Forest was open. CA-180 made for great motorcycling!